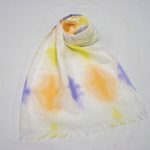 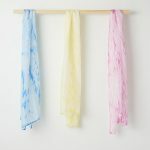 Kanoko-Shibori is a traditional Japanese tie-dyeing technique and the name, “Kanoko” comes from the fact that the pattern created through So-Shibori (tie-dyeing large pieces of fabric) looks like the dotted pattern on a young deer’s back. 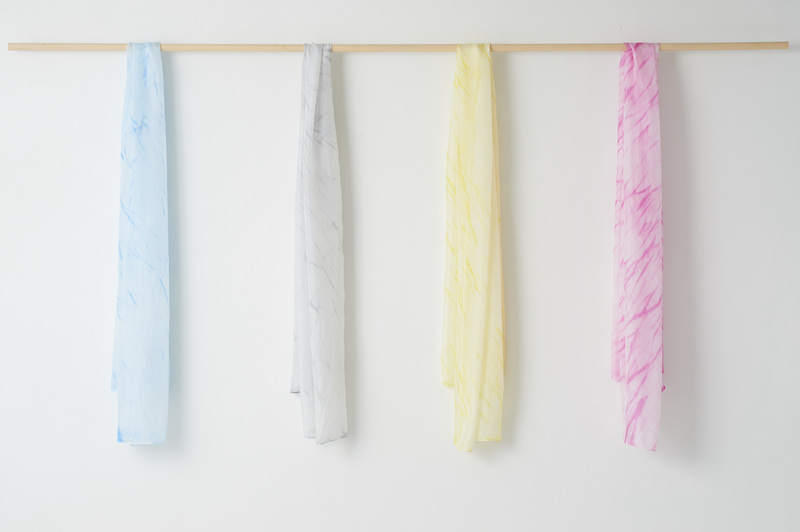 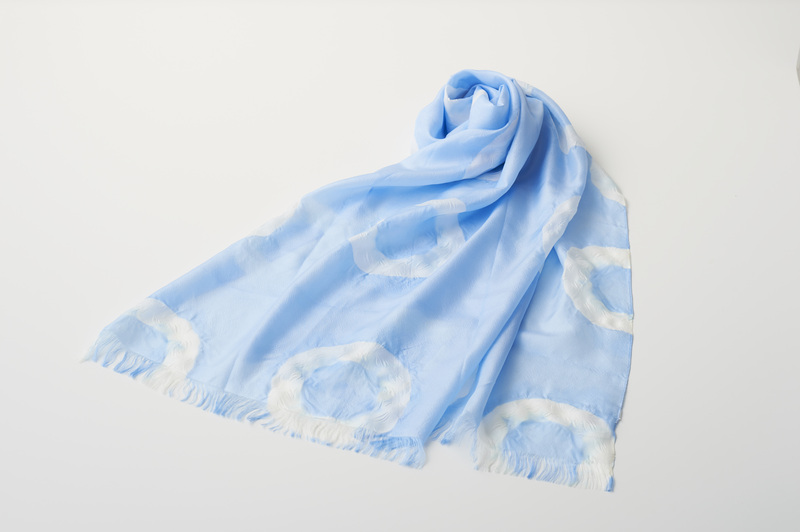 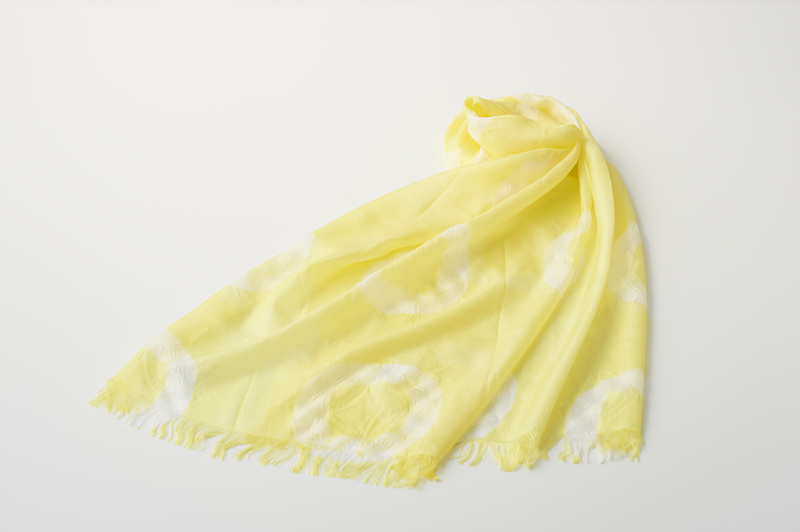 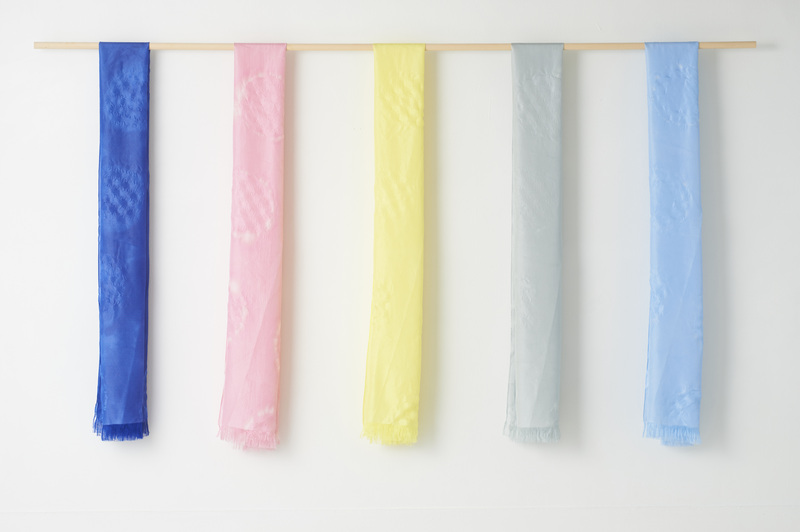 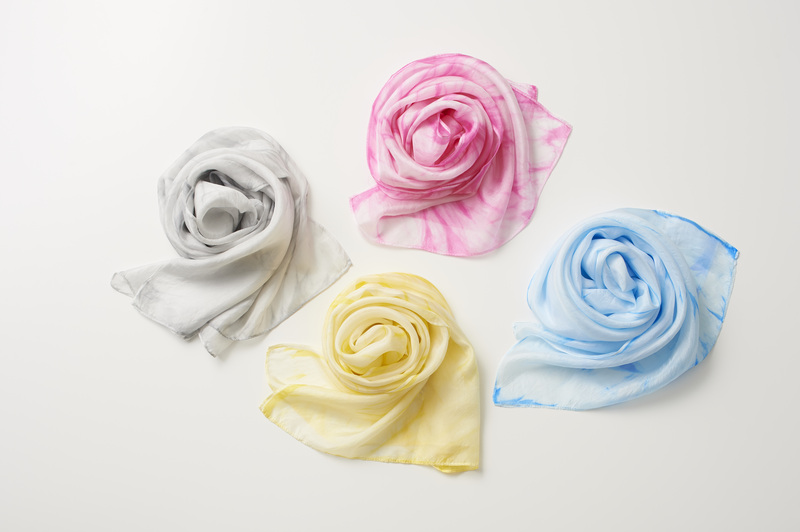 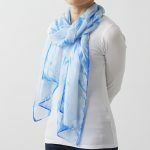 In particular, when the Kanoko-Shibori technique is applied to silk fabric produced in Kyoto, it is referred to as “Kyo-Kanoko-Shibori,” which was officially designated by the Japanese government as a traditional craft in 1976. 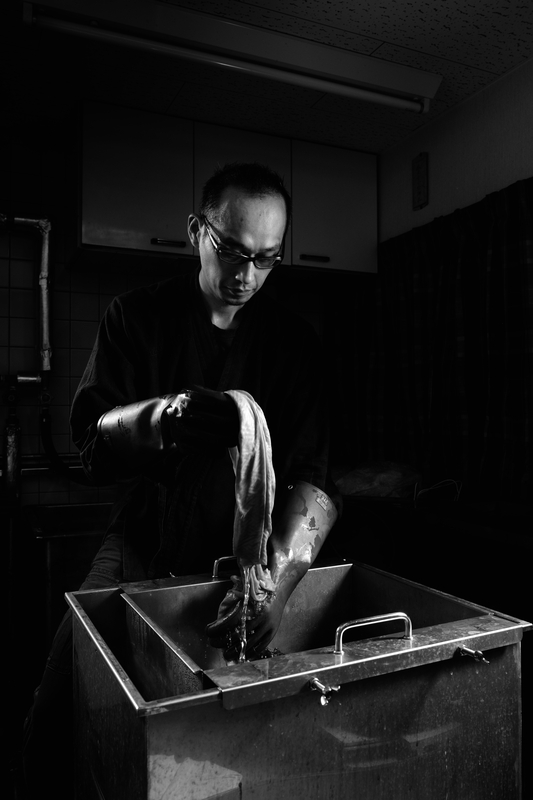 In the Kyoto tie-dying tradition, expert artisans are assigned to each stage of the production process and play their roles. 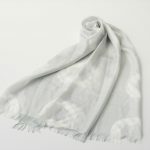 Each product therefore embodies the work done by the hands of many individuals, and the quality of each artisan’s work contributes to the overall outcome. 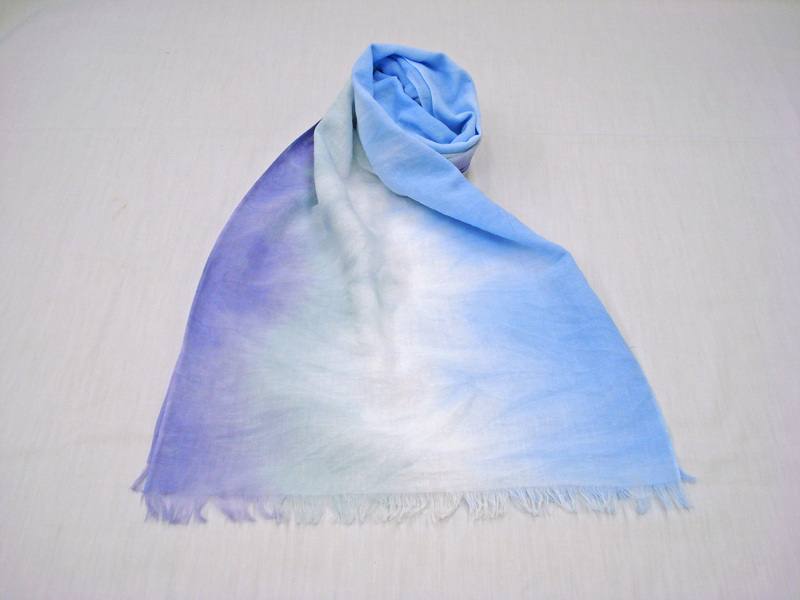 Subtle bleeding of dye and improvised artisan handiwork lend themselves to unique products, not a single one of which is identical with another. 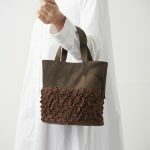 After creating a design on the fabric, the cloth is pinched and tied together with a thread. 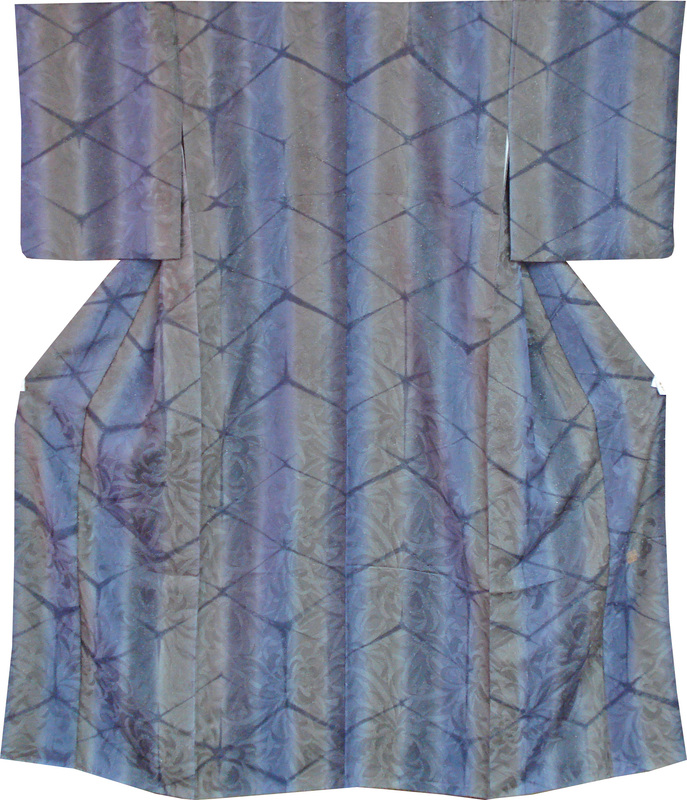 This piece is called the “enclosure.” When dyeing, the “enclosure” must remain un-dyed and a pure white color so that the pattern can clearly show. 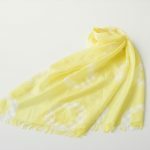 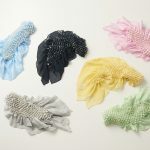 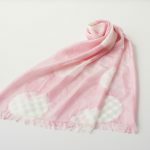 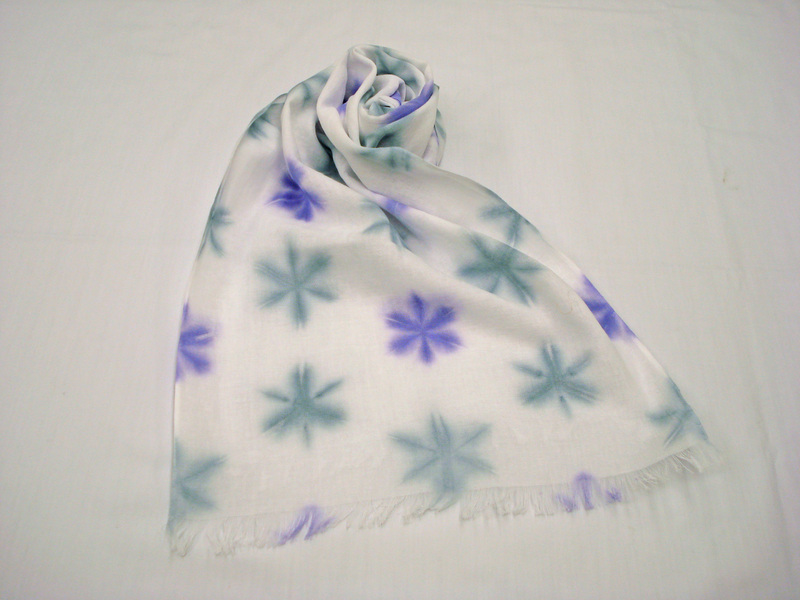 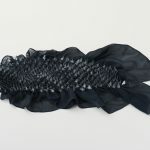 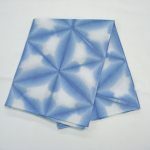 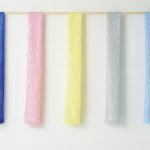 There are many different techniques of Kanoko-Shibori, but they have since decreased as craftsman no longer pass them down. 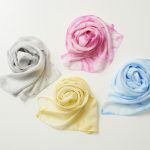 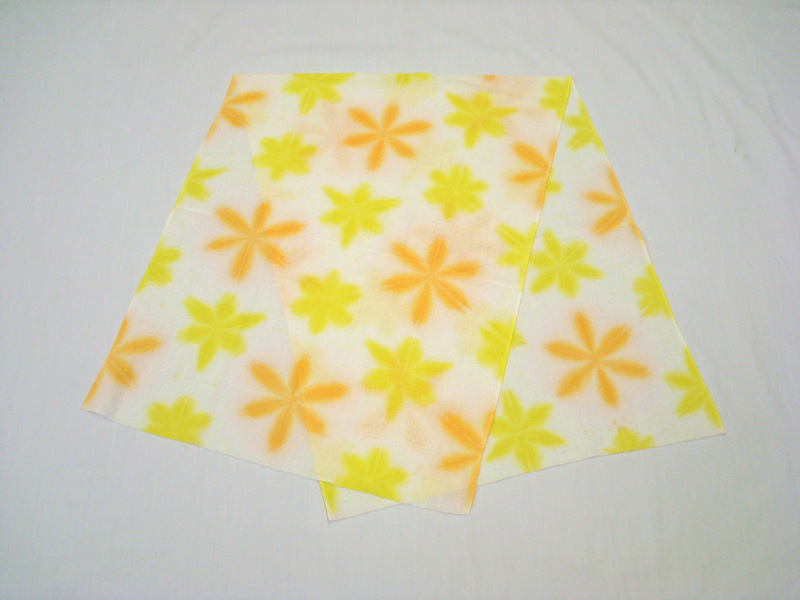 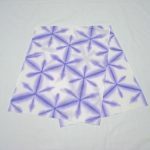 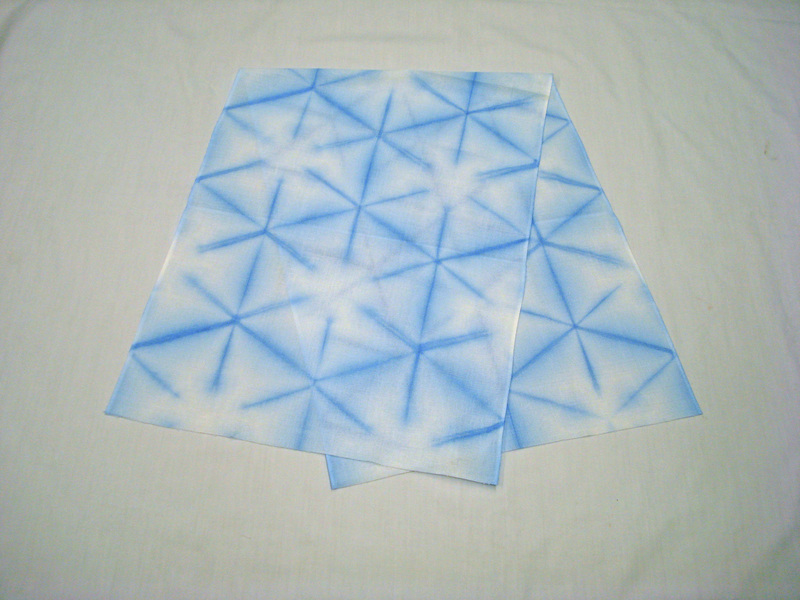 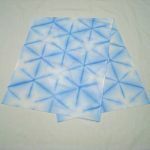 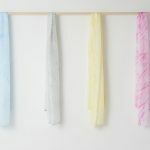 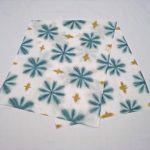 Kyo-Kanoko-Shibori is not a specific technique, rather it is a generic term for the dyeing templates manufactured in Kyoto. 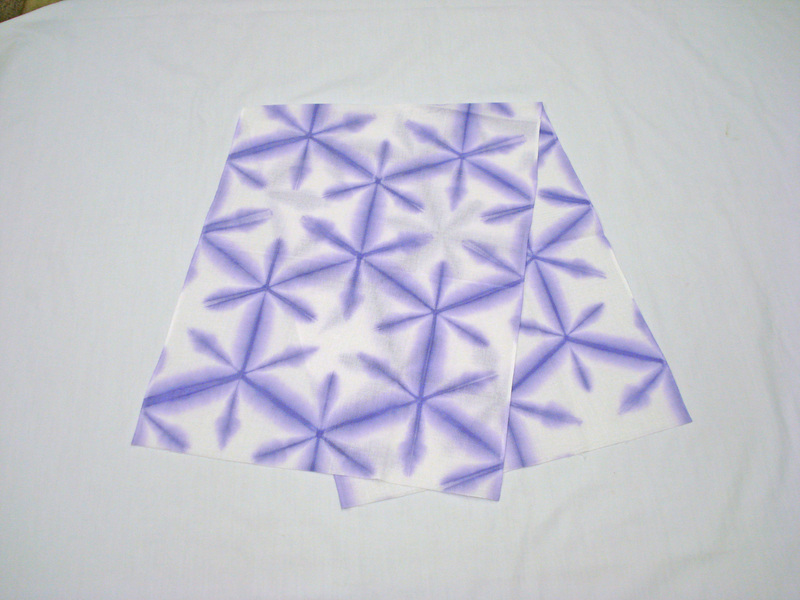 The technique of placing the template between folded cloth is also treated as a type of design. 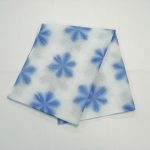 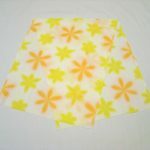 It involves sandwiching the template between fabric and boards and dyeing them without staining outside of the design. 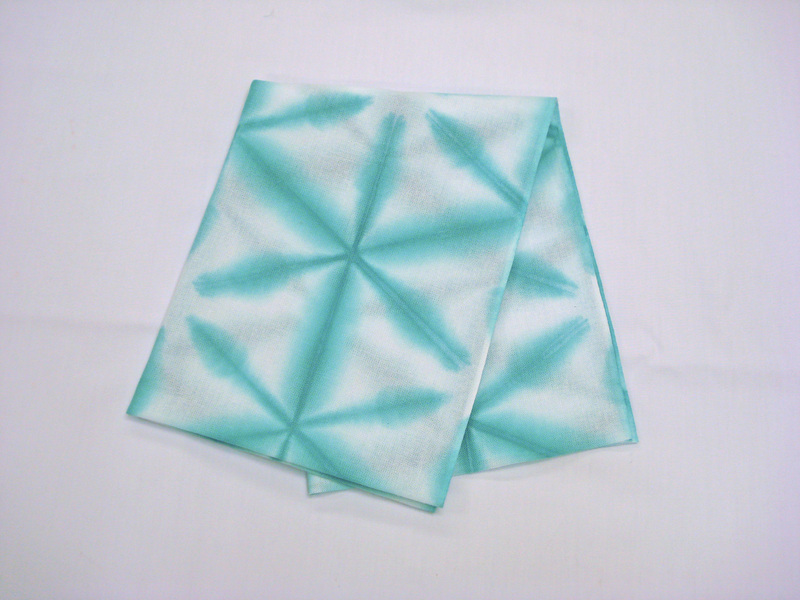 This plating method technique is very difficult and involves much trial and error. 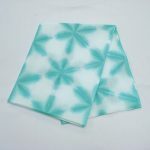 Depending on the type of cloth and how it is pinched and strung together, there are around 50 types of variations in the plating method. 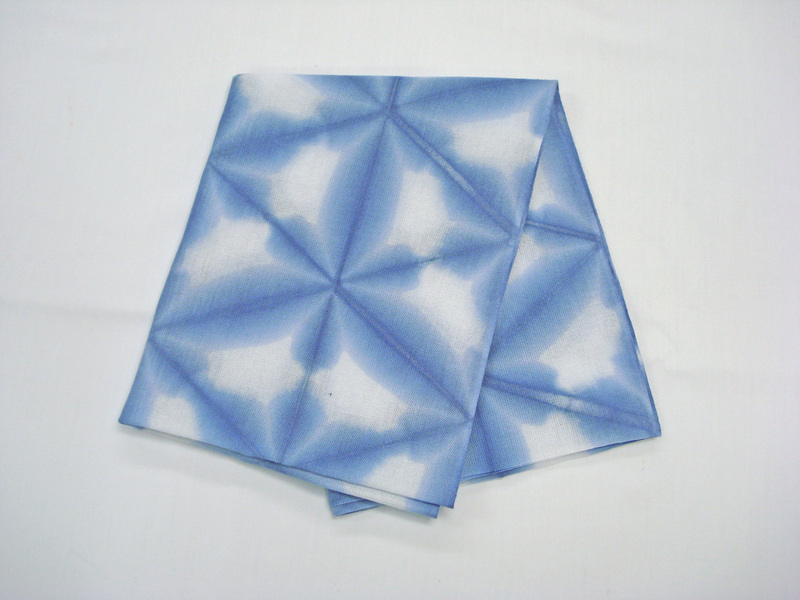 Kimono Kyo-Kanoko-Shibori have over 50 processes from design to completion. 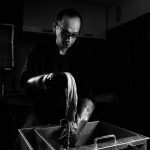 Only highly-trained and specialized craftsman can be involved in working the processes as skill effects the outcome of each work. 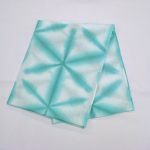 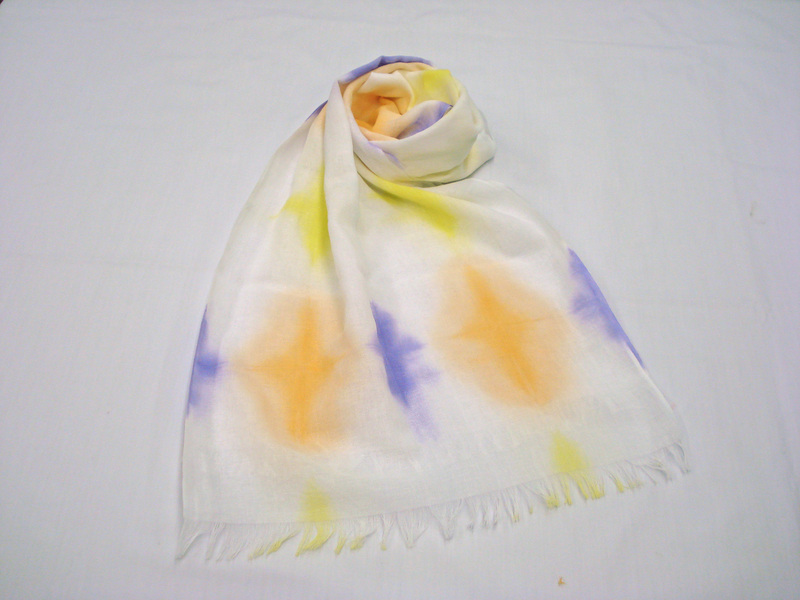 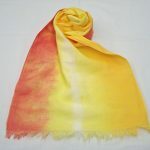 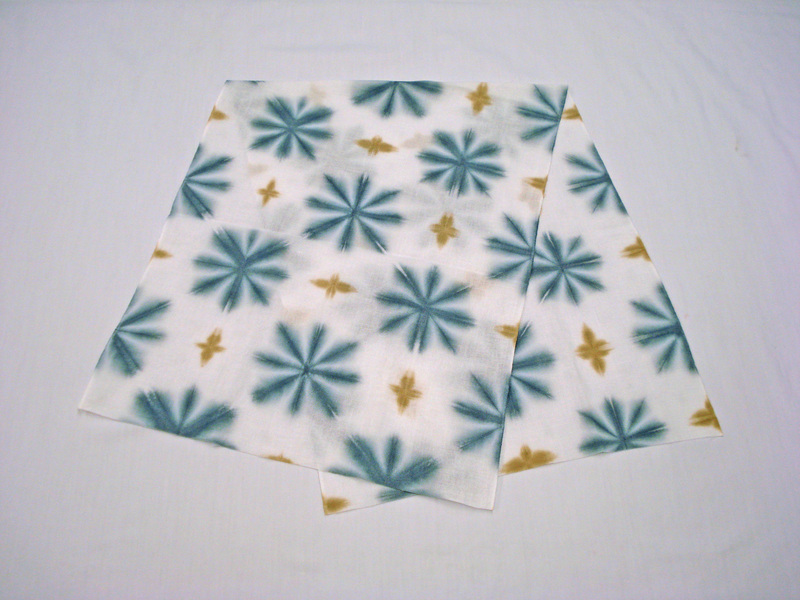 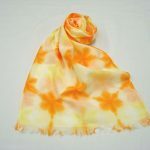 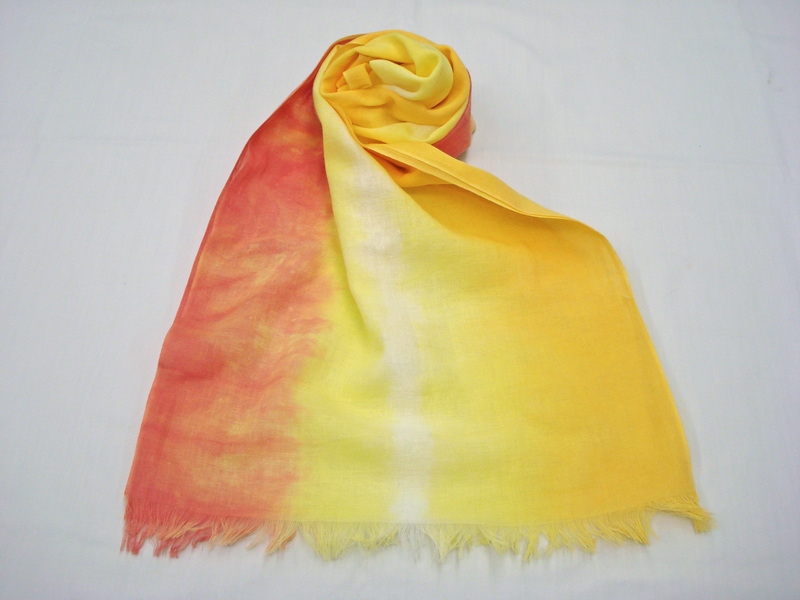 Even slight and subtle color bleeding cannot be undone, which makes Kyo-Kanoko-Shibori especially difficult to achieve. 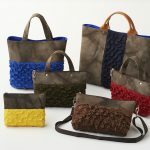 In order to promote crafts manufactured using traditional techniques, the Minister of Economy, Trade and Industry of Japan began recognizing certain crafts to be included. 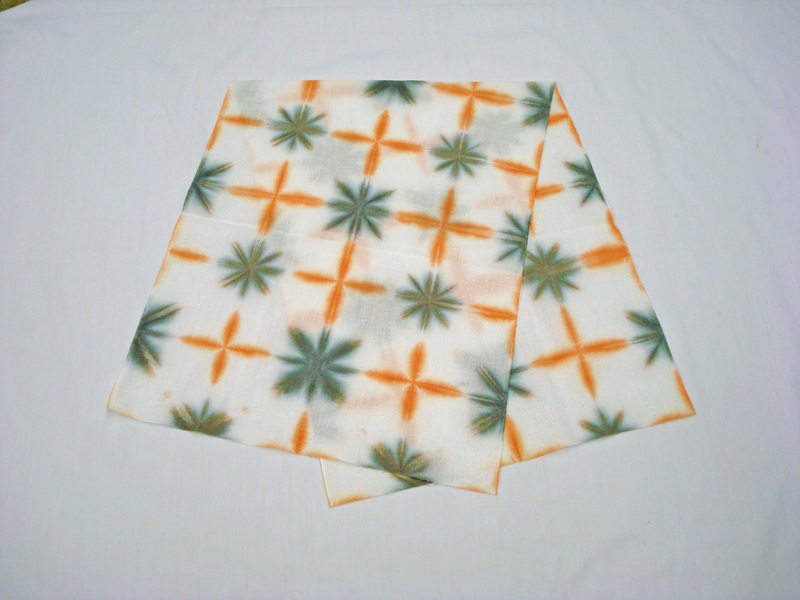 These traditional craftwork are defined by law and are mainly used in daily life. 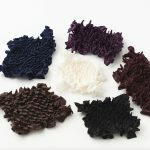 They must be manufactured using traditional materials by using traditional techniques in a certain area and at a certain scale. 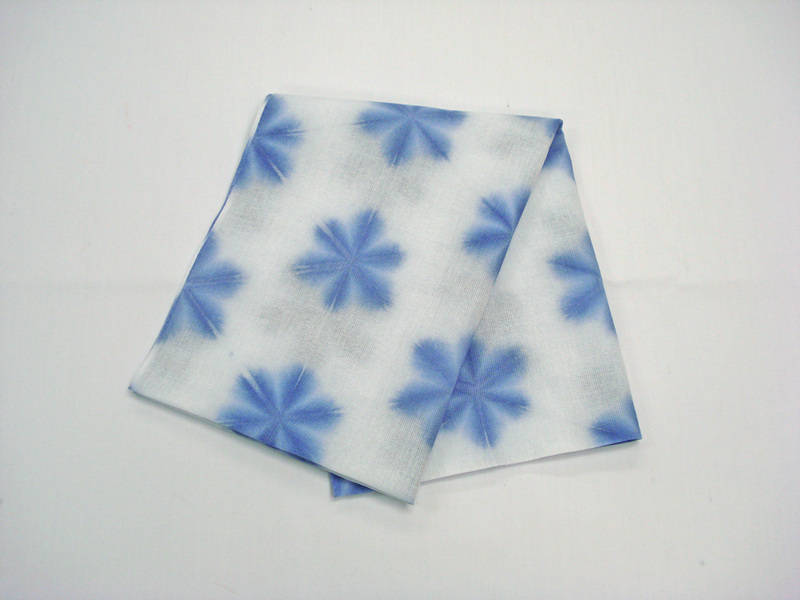 Kyo-Kanoko-Shibori was deemed a traditional craft of Japan in 1976. 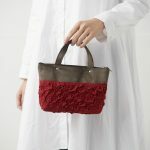 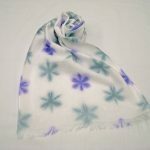 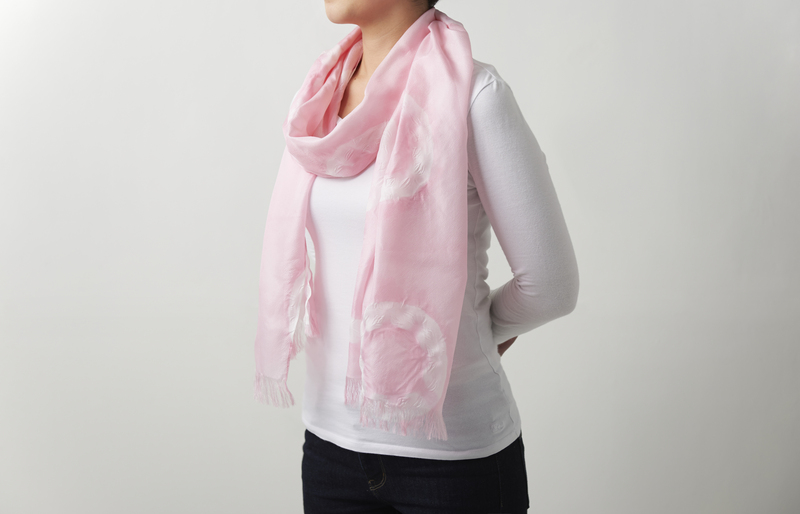 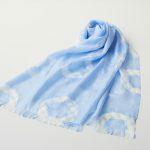 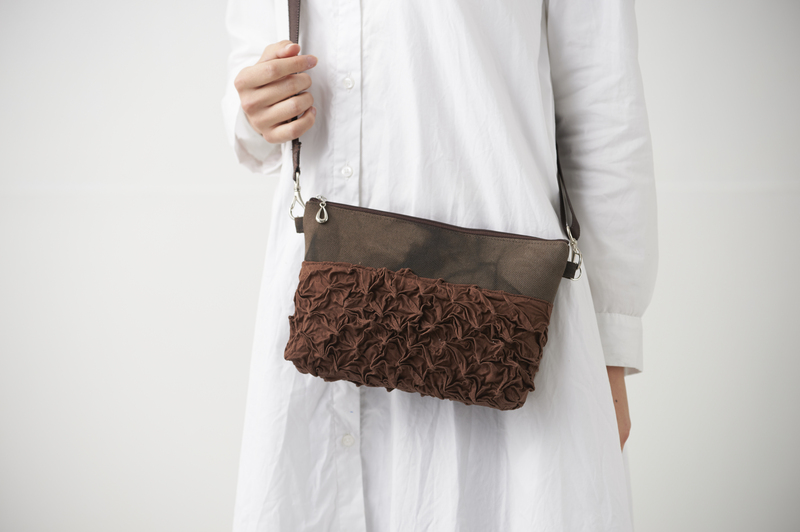 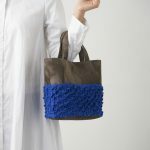 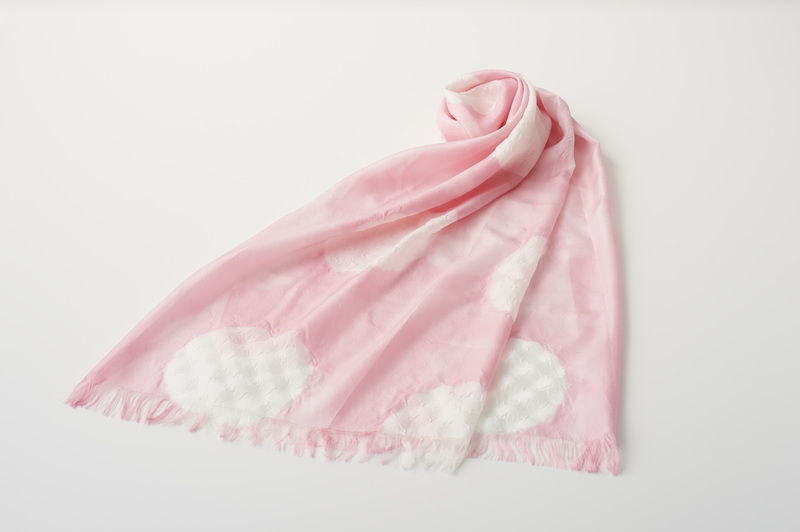 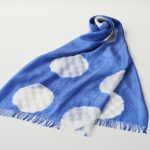 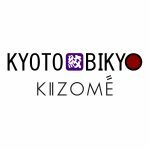 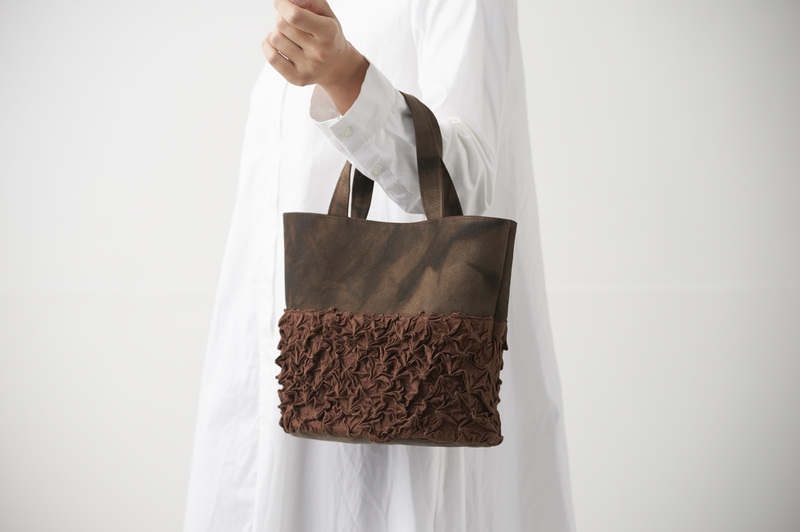 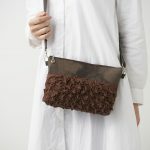 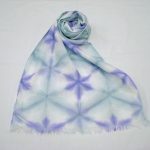 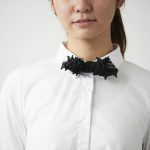 What is KIZOMÉ Digital 3D Shibori? 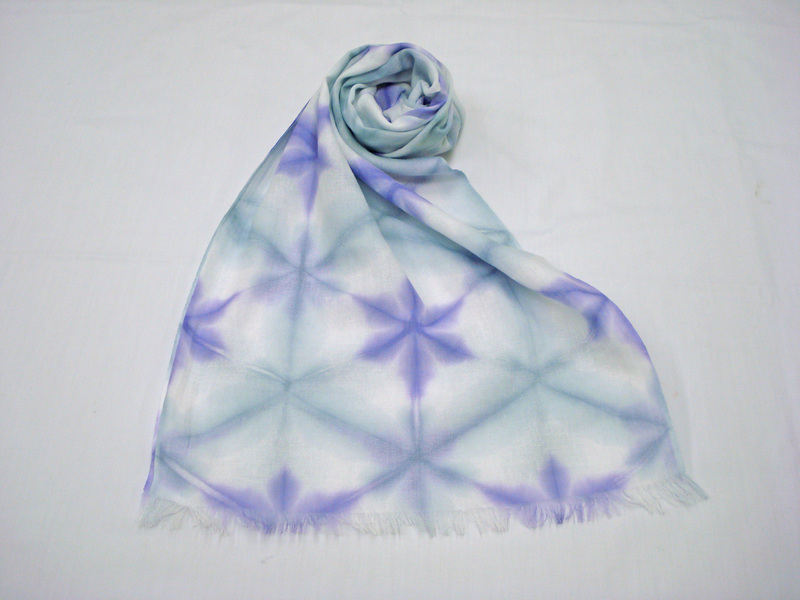 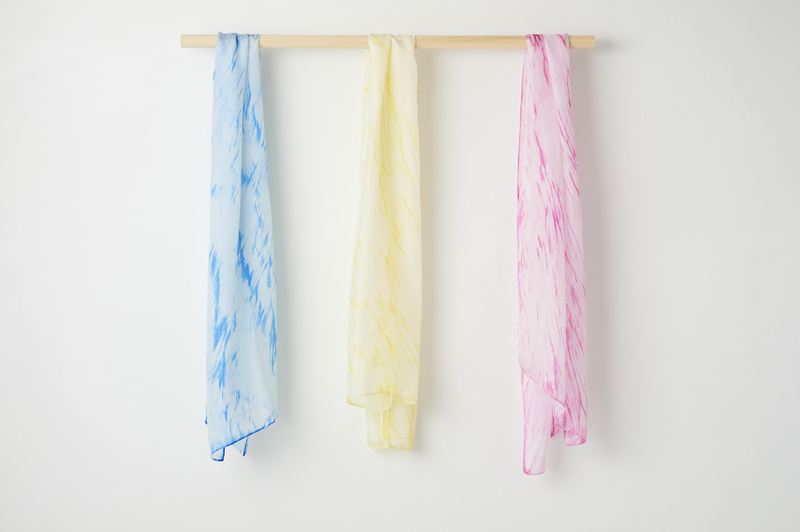 KIZOMÉ Digital 3D Shibori is a new style of Shibori (Japanese tie-dye) produced with cutting-edge technology. 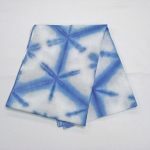 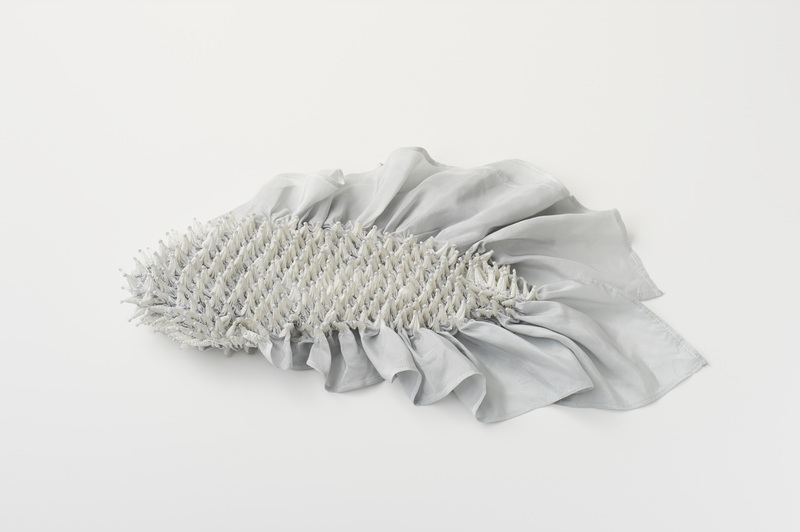 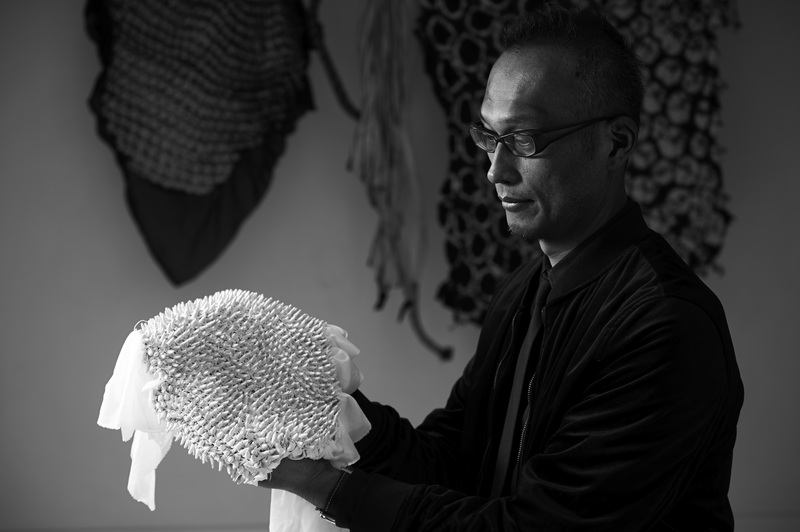 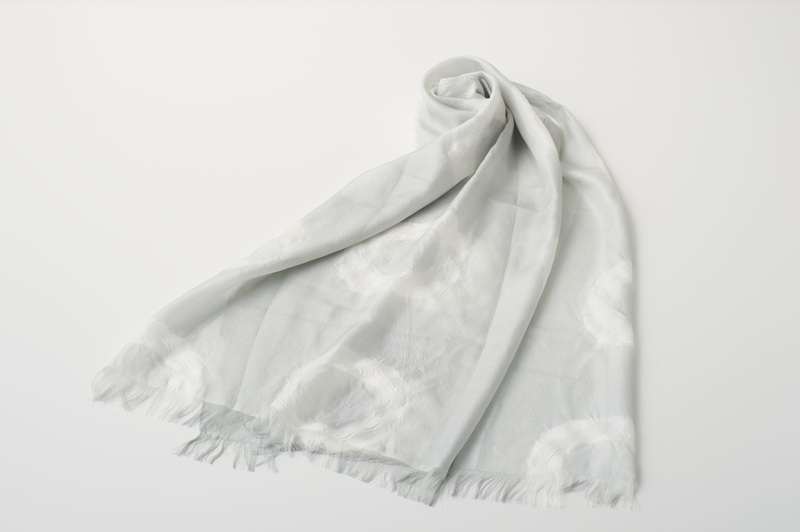 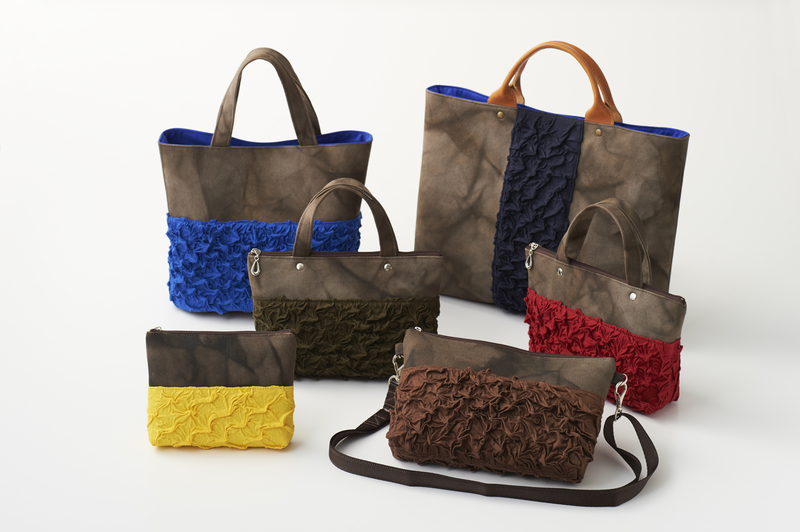 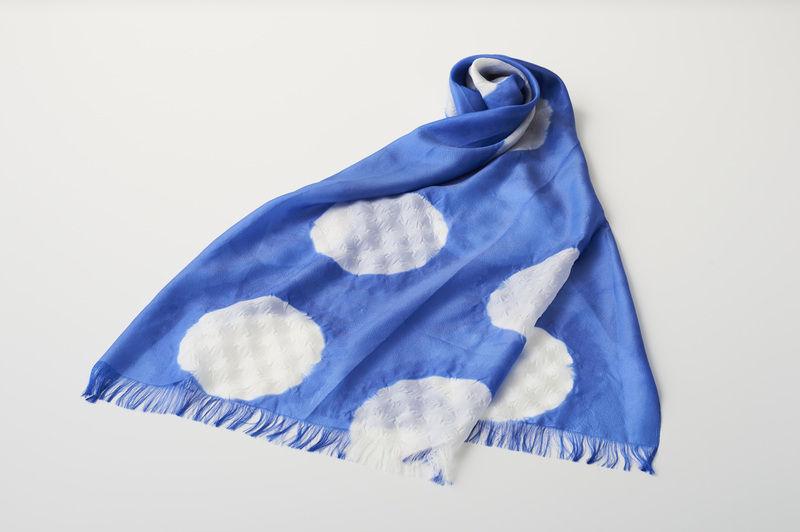 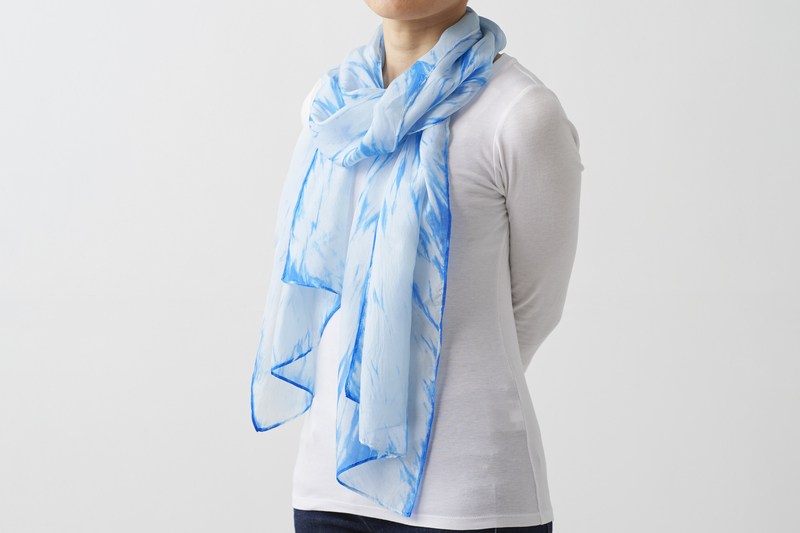 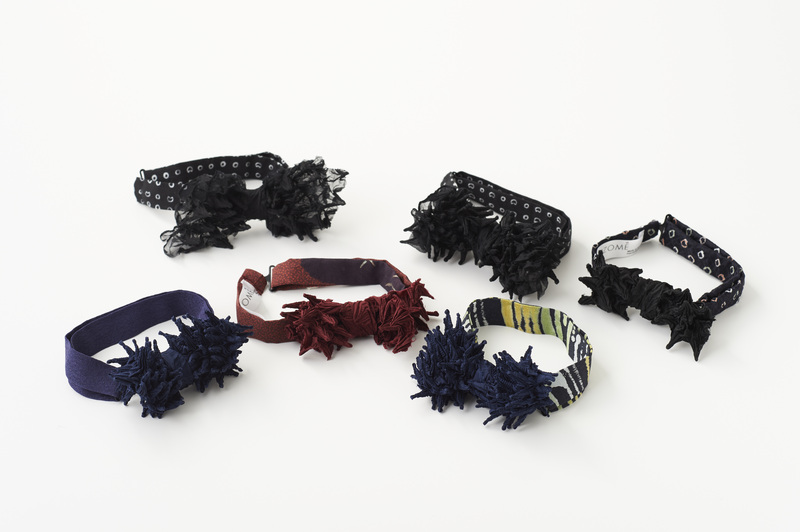 Ita Shibori, one of the traditional Kyo-Kanoko-Shibori styles, is created using a mold produced by the 3D software design and a 3D printer. 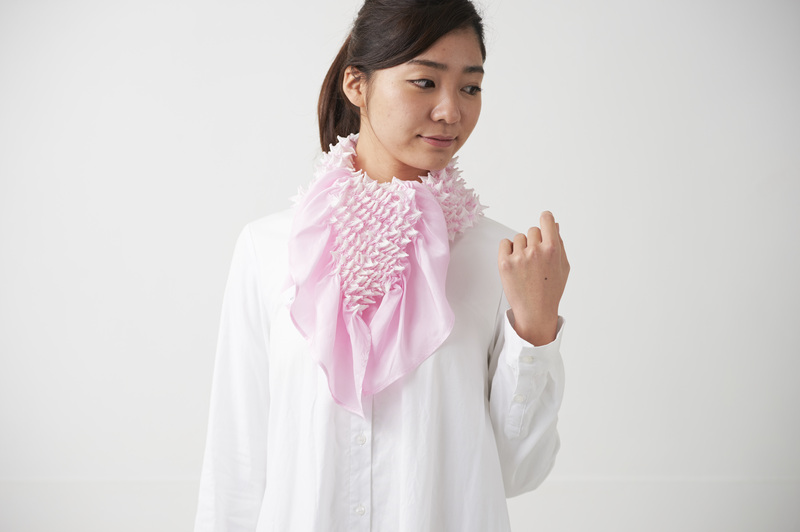 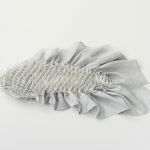 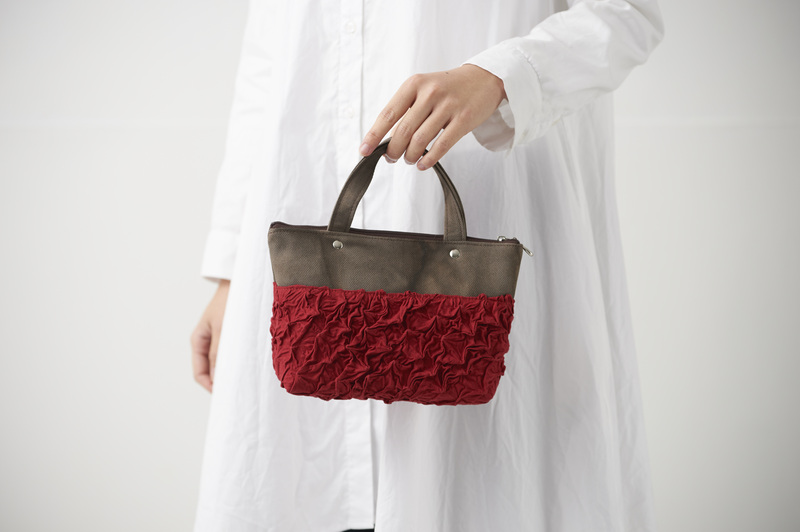 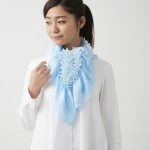 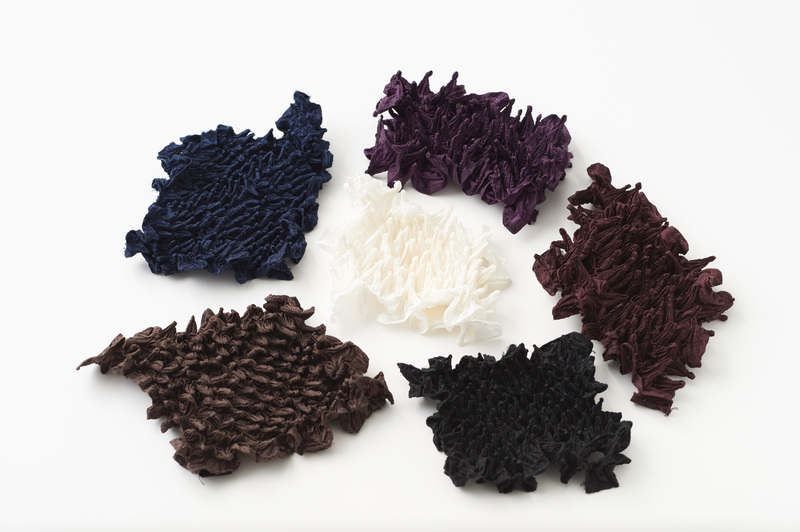 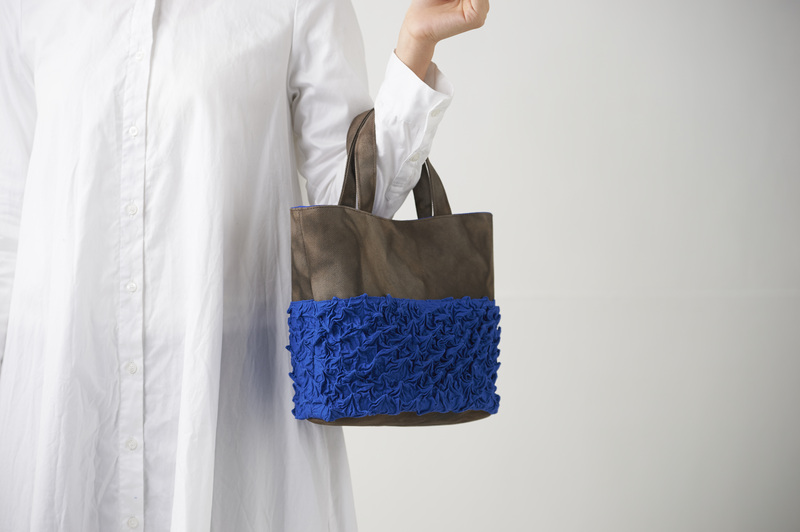 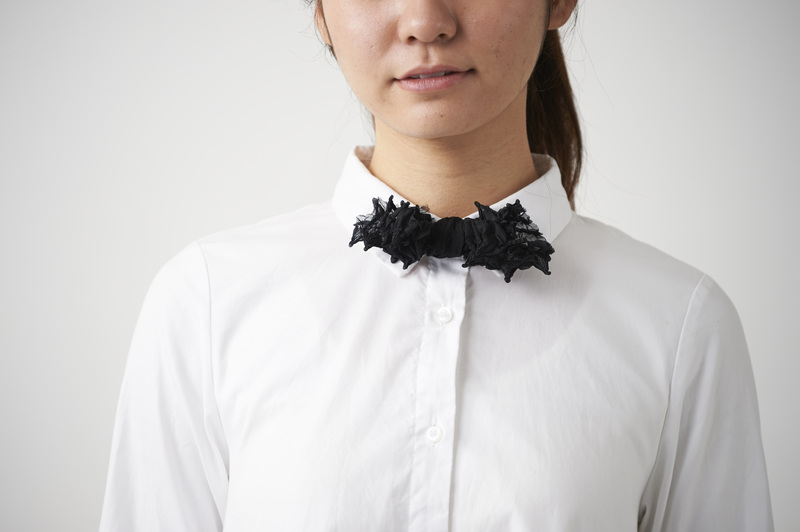 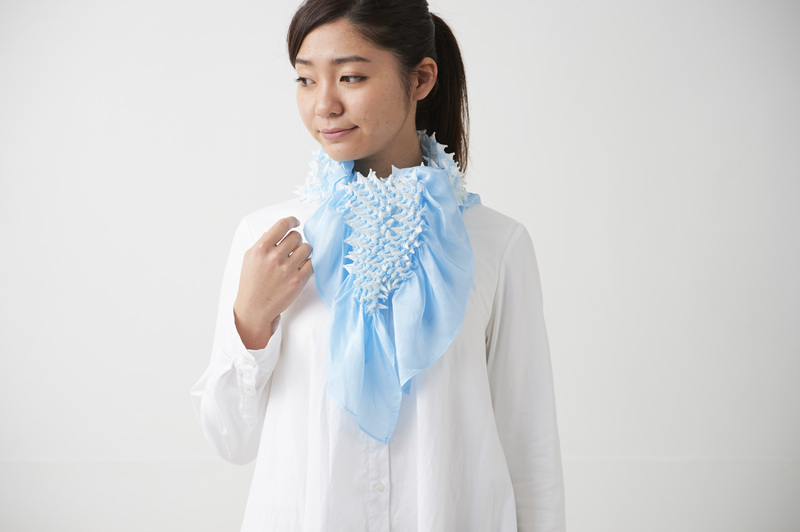 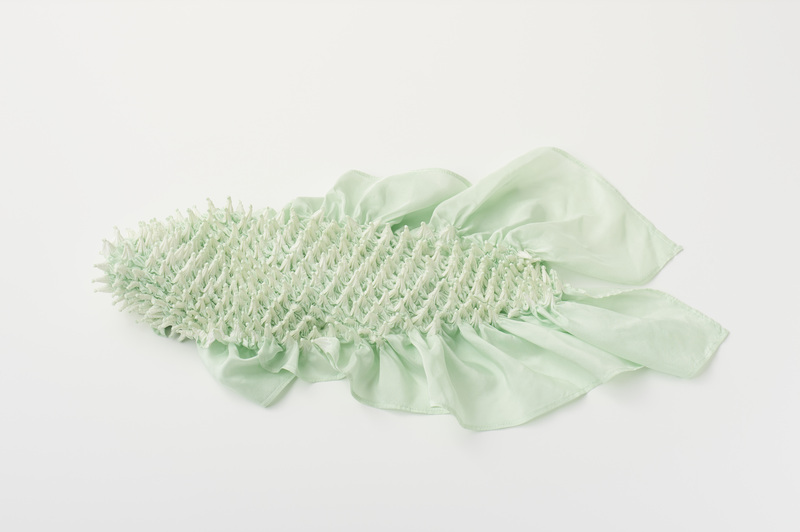 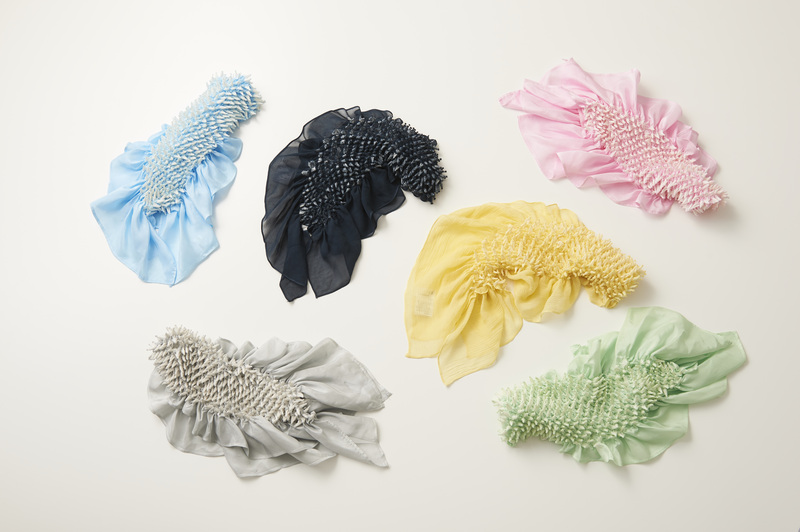 The extremely delicate and complex molds resulting from the advanced 3D technologies achieve the special effect and gentle texture on the new Kyo-Kanoko Shibori. 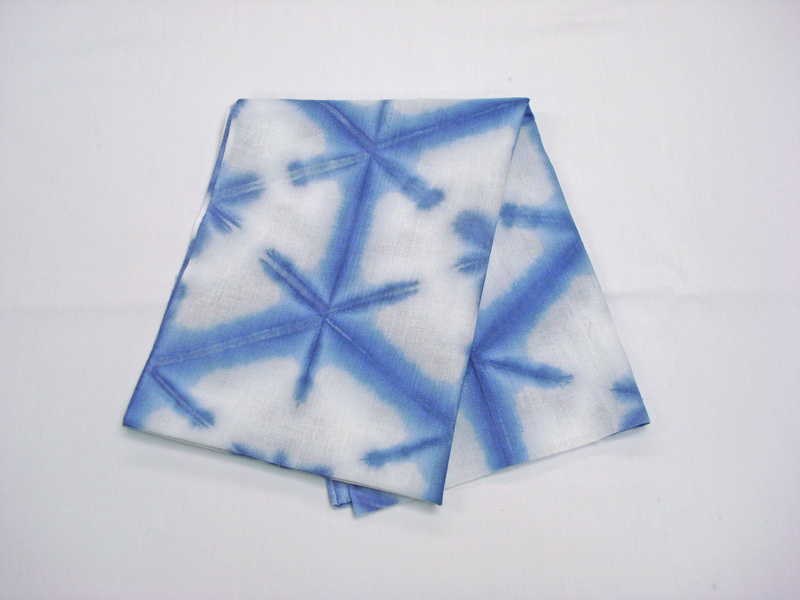 Kyoto Shibori Bikyo (by Kiichi Matsuoka) succeeded to produce the Kyo-Kanoko-Shibori with the Digital 3D Shibori as a first in its field. 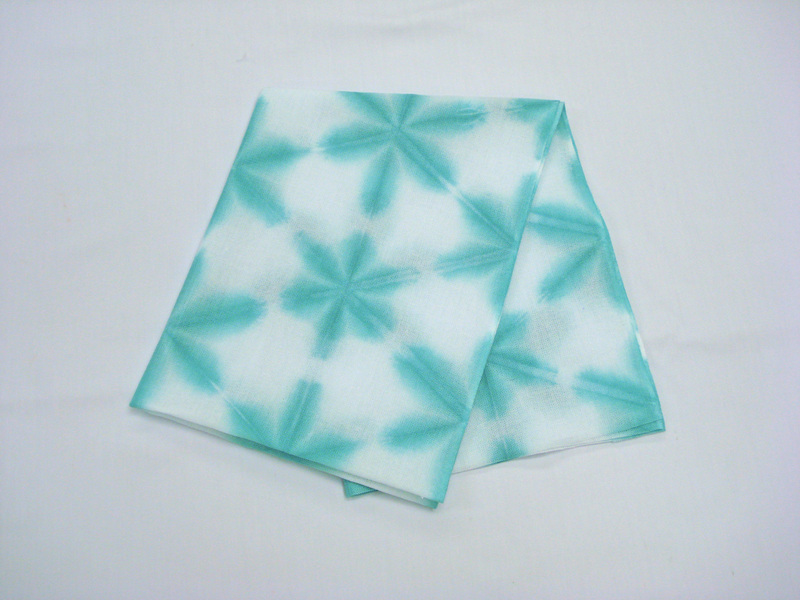 Kyoto Shibori Bikyo Co., Ltd. 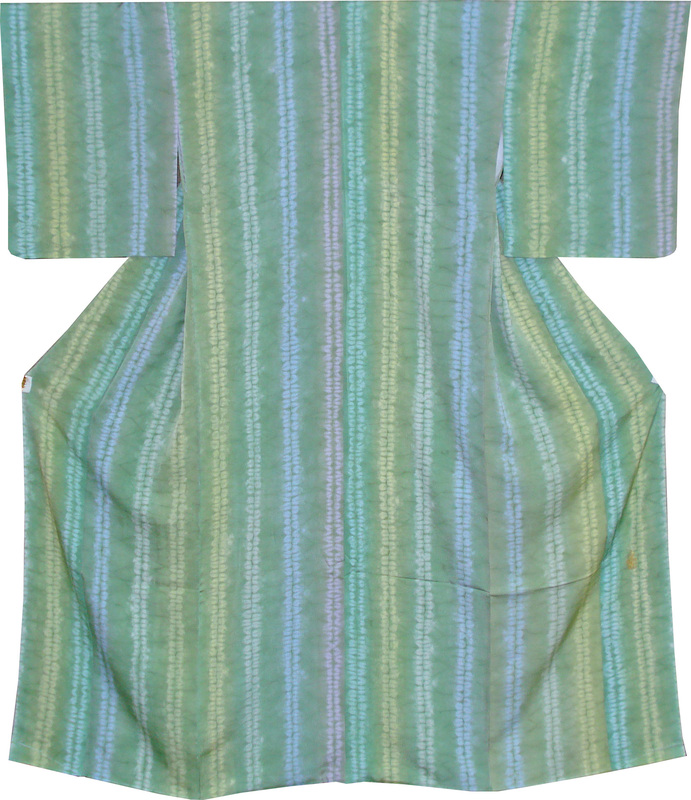 The company was originally founded in Kyoto's Nakagyo-ku in 1937 and began manufacturing high-quality kimono in 1978. 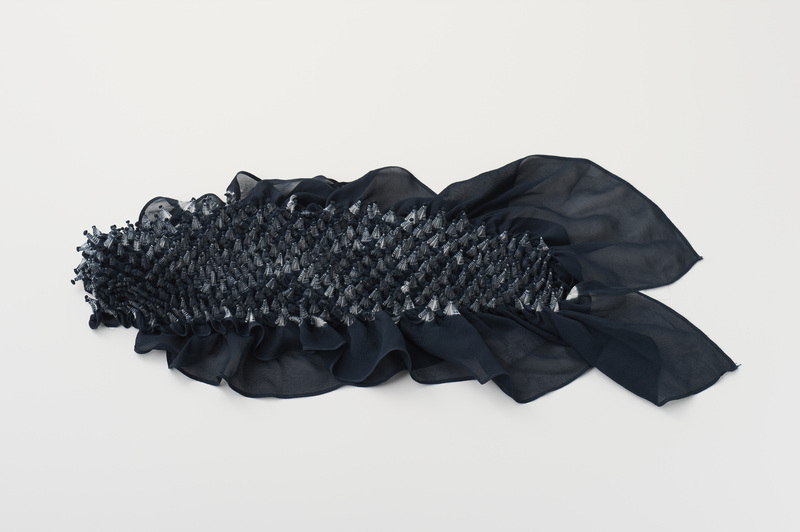 In 2014, the company expanded their activities into the couture fashion industry. 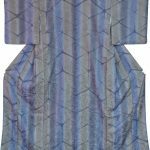 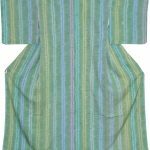 In order to differentiate itself from traditional luxury kimono, Kyoto Shibori Bikyo was created in 2016, selling kimono and obi in distinctive "Kyo-Kanoko-Shibori." 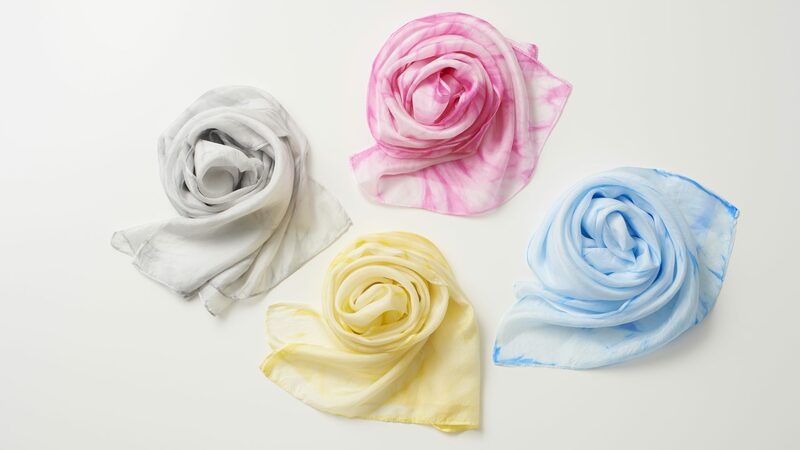 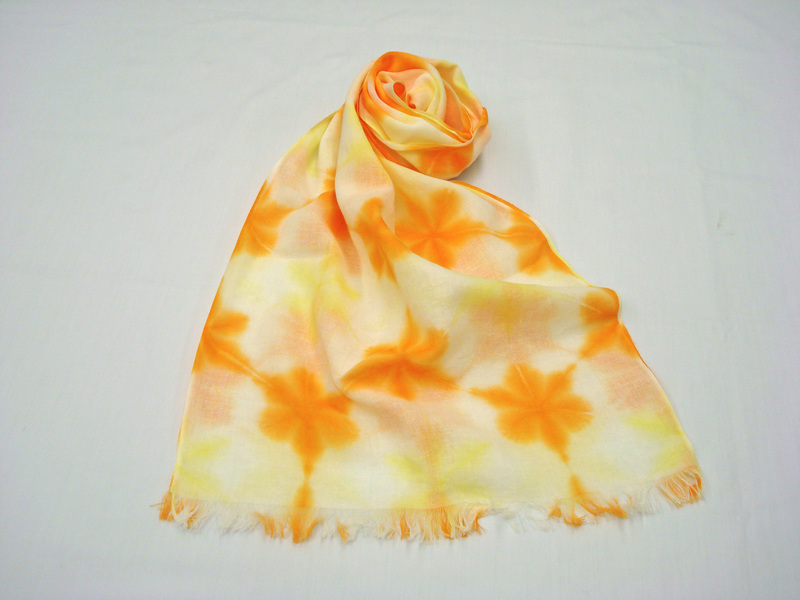 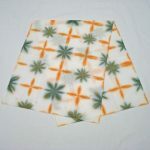 Eventually, they started to expand further into manufacturing miscellaneous fashion goods such as scarves and bags that made use of the traditional squeeze-dyed techniques.